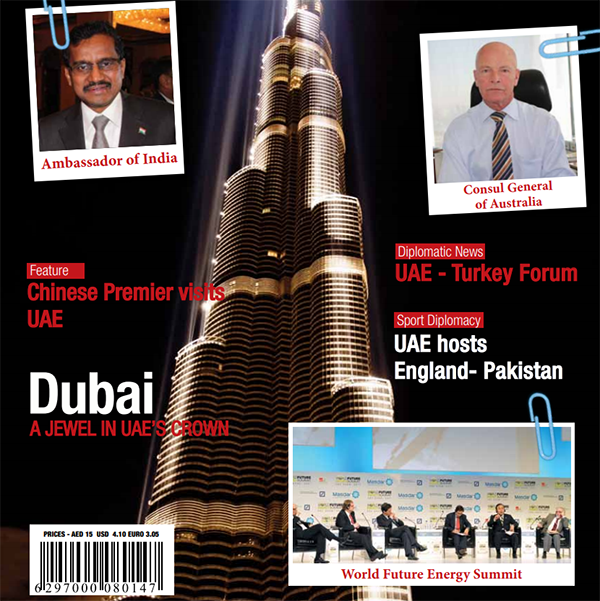 (Abu Dhabi) – H.H. Sheikh Abdullah bin Zayed Al Nahyan, Minister of Foreign Affairs and International Cooperation, received Tunisian Foreign Minister Khamis Al-Jahnawi, at his office in the Ministry. During the meeting, they discussed bilateral relations and cooperation between the two countries and ways to enhance them in all fields. 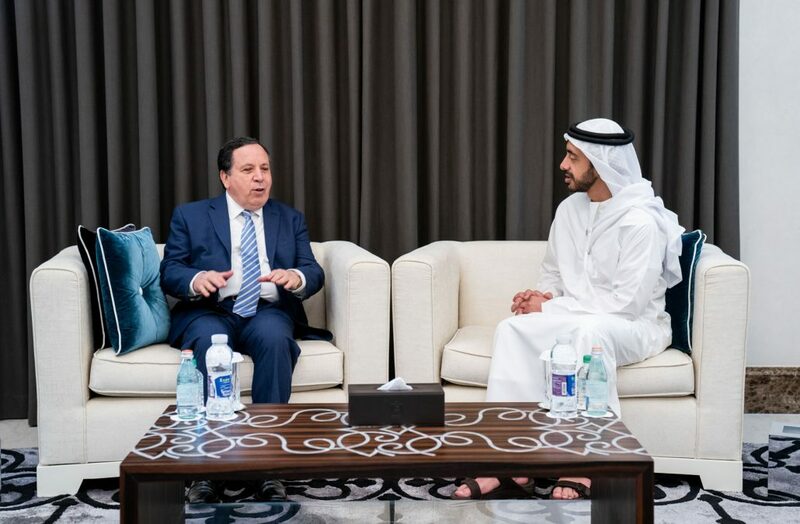 Sheikh Abdullah welcomed the visit of Al-Jahnawi and wished that it will contribute to developing ties between the UAE and Tunisia in all fields. The Tunisian Foreign expressed keenness of his country to enhance cooperation with the UAE in all domains while lauding the UAE’s pioneering stature regionally and globally. Abdullah Matar Al Mazrouei, Director of the Arab Affairs Department at the Ministry of Foreign Affairs and International Cooperation, attended the meeting.